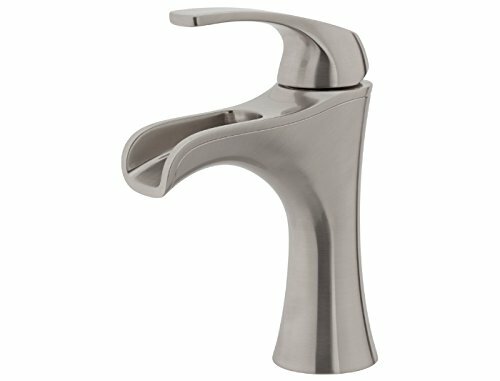 2 What Are The Top Bathroom Faucet Brands? 3 Bathroom Faucet Buying Guide – How To Pick The Right One? 4 Finding Problem In Bathroom Faucet Parts and How To Replace? 5 How To Fix a Leaky Bathroom Faucet? If you are building a new home or looking to do a makeover in your bathroom you will have many choices when it comes to bathroom fixtures. Especially when it comes to faucets, you will have so many choices that you may just be overwhelmed by the sheer volume of selections you have. That is why we have taken the time to look at many bathroom faucets and have come up with a list of what we feel are the best ones in the marketplace. Here is a list of the best bathroom faucets according to our bathroom faucet reviews. 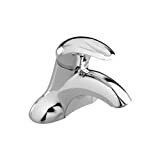 This is the only two handle faucet on our best faucet review list but it is a very good one, to say the least. Not to mention you can never go wrong with any fixture made by the reputable manufacturer Delta. 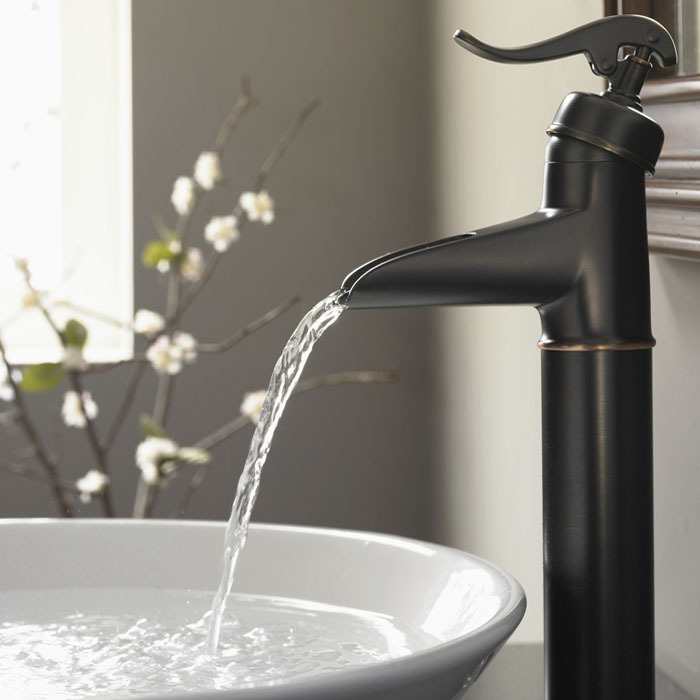 The design of this faucet will leave any sink with a modern an elegant look. It is an easy faucet to install that comes complete with everything you need too. The simple and precise mechanical action on it when operating the handles is also a big plus. 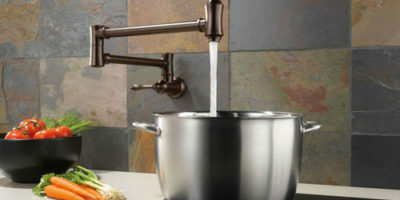 We really liked the large assortment of great looking finishes that this model faucet comes in. It makes it very versatile for many different bathroom styles to say the least. It is available in Chrome, stainless, Venetian bronze and champagne bronze finishes which all look fantastic. The coating on the metal finish needs some improvement because it gets water stains on it very easily. Even after you polish it there is still a lack of luster in some instances. It will eventually look good again with a little elbow grease but we don’t feel this should be necessary. If you are the type of person that prefers a single handle that works both the hot and cold temperatures then you should be really interested in taking a look at this faucet model from Premier. 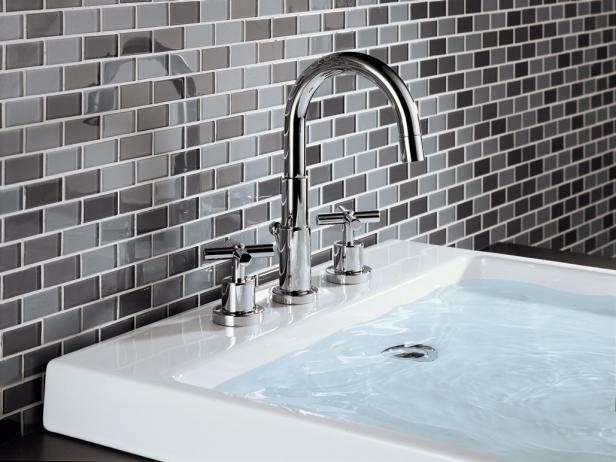 It is not only a very functional faucet but it is as stylish as they come too. This faucet may look simple but this model is loaded with good features. It all starts with its water saving sensing feature which is specially designed to save you over 700 gallons of water per year. There is also a built-in ceramic disc cartridge for superior operating performance. The color and finish selection with this faucet really cannot be beaten for sure. It comes in various finishes such as chrome (the least expensive), stainless and brushed nickel. The consensus favorite among us was by far the elegant Parisian Bronze. There is a finish that will fit everyone’s taste and surroundings. This is more of a spillover type faucet. That means if you like a lot of pressure in your bathroom sink then this is not the model for you. There are not many bigger names than Moen when it comes to bathroom and kitchen fixtures. This fine single handle faucet is a testament as to why their products are thought of so highly. It is an ADA compliant single hole fixture that will look great in any bathroom. It comes in three distinct finishes that will please even the most discerning tastes. These are chrome, oil brushed bronze (the consensus favorite amongst us) and brushed nickel. It is very easy to install the product that comes with everything you need for that included right in the package. Our favorite thing about this faucet was the precise control it had over the water temperature. It seemed to make small but very accurate adjustments in temperature as you moved it around. The stopper at the back of the faucet underneath works great but is a little on the large side for such a small faucet fitting. This means you have to be sure you have enough space before you drill your hole in the counter or sink basin to install it. 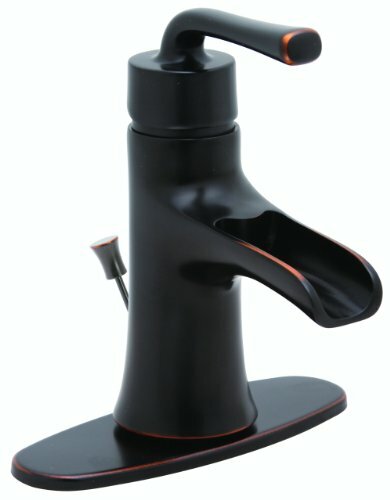 Here is another well designed single handle faucet. Pfister has done a nice job on both the design and functionality of this product. It is a faucet that nicely complements its surroundings and will not overwhelm you with pressure and spray water everywhere when using it as many bathroom fixtures do. It comes in 3 great finish selections. These are polished chrome, brushed nickel, and a chrome/white combination. There is no bad choice amongst these finishes. It is also a faucet that will save you a lot of water over the course of a year with its conservative 1.5 gallons per minute flow. The versatility of this faucet is what many of us liked. It can be mounted with or without a deck plate on either a countertop or sink basin with ease. It takes only a single faucet hole to install it also. Again water pressure may be an issue here for some people. This is another waterfall style faucet that gently spills out the end of the fixture. So for those who like more pressure for doing such things as rinsing razors, it’s not the one you want. It has a very smooth operation to it because of the way it is designed. The handle is made of all metal for long life and it ceramic disc enhanced movement also guarantees smooth operation for many years to come. Ceramic disc construction also goes a long way toward avoiding those nuisance faucet drips that often appear over time. This product is very easy to install thanks to its innovative connection design. The speed connects design requires a lot fewer parts so you can connect it very fast under most circumstances and that also means fewer places that it can leak too. We really liked this faucet but were really disappointed in its very limited finish selection. 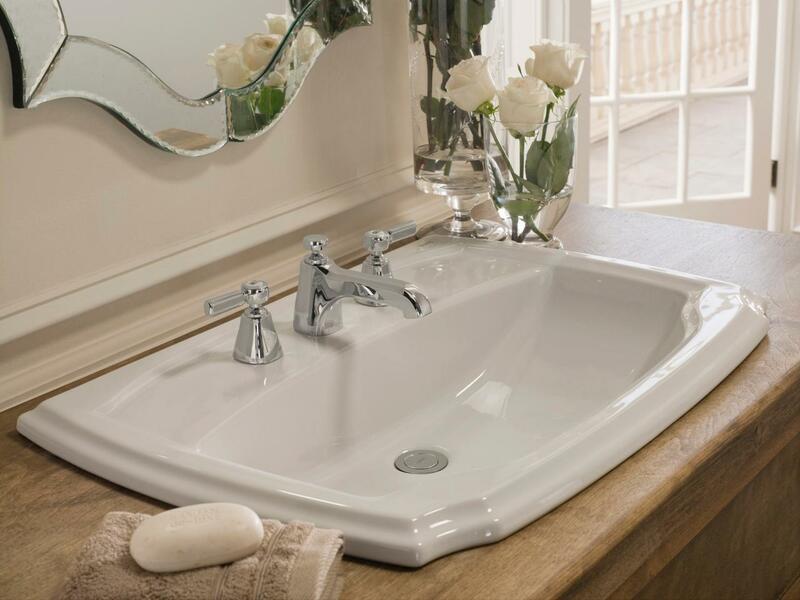 It only comes in polished chrome and satin nickel which really limits the choices of bathroom motif’s it can go with. It’s too nice a faucet for that. Here is a faucet that will work well for those who are determined to have an ultramodern overall design in their bathroom. This is a simple but elegant product that will go well with any background without standing out too much. It features an all-metal handle for long life and also boasts having mainly corrosion resistant brass inner workings. This faucet design will also save you a lot of water over time with its low 1.5 gallons per minute flow rate. It is a very versatile faucet that is simple to install. 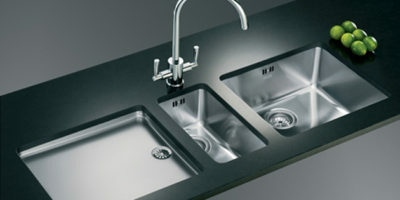 It can be added to any single or three hole countertop or sink basin with no problems. It also does not take up much space if you are the type of person that prefers a mostly open bathroom countertop. Again this is a great product that we would like to see available in many more finishes. As of know it only comes in chrome and stainless finishes. Having it available in a little darker finish too would make it much more versatile as far as matching bathroom styles goes. 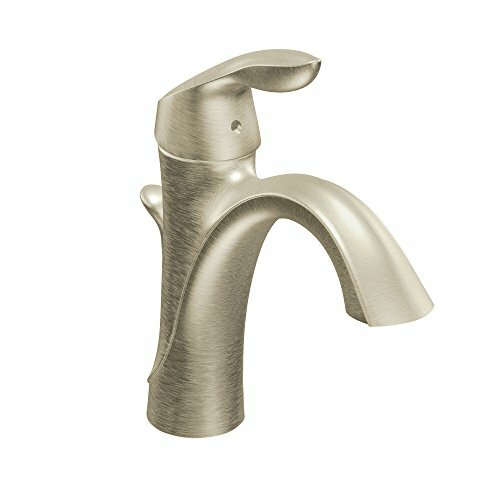 What Are The Top Bathroom Faucet Brands? We have discussed this question extensively with us and some of the connections we have in the plumbing business to come up with an answer for you here. We were very pleased that most of the faucets we reviewed had their manufacturers make an appearance on this list. Here are what we determined to be the top manufacturers of faucets in no particular order. Moen is known as a very consistently good manufacturer when it comes to making faucets. They have simple yet elegant design features. Their faucets are also known to operate smoothly and last whoever buys them a very long time. They produce a very large variety of faucets whose different type and style selections should fit just about anyone’s taste in bathroom faucets. This is another really good faucet design company and we are proud to have one of their great faucets as part of our review list. The quality they put into their products has kept their business sales at a high level for a long period of time. Numbers like that speak for themselves when it comes to the quality and price point of the faucets that Pfister manufactures. This may be the most innovative company on our list of top faucet manufacturers. They are known for being extremely creative with their designs. Their faucets are frequently purchased by those that like their bathroom and kitchens to look ‘outside the box’ so to speak. It is a company whose products do not satisfy everyone’s taste but those that they do swear by them. 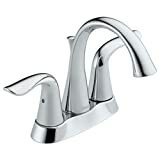 They also design a very popular luxury line of faucets. If you have the word ‘American’ in your name you better be putting out fine quality faucet products and that is exactly what American Standard is known for. 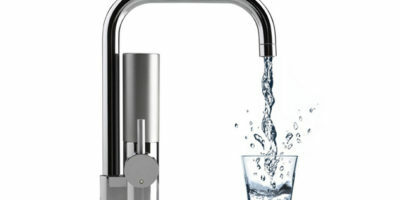 This company is not known for their elegant designs but there are few companies that can match their reputation for building quality faucets that work well over a long period of time. Delta is another huge player in the bathroom faucet manufacturing business that has an outstanding reputation for quality. Their products seem to include a nice mix of style and functionality. You can never go wrong with owning and installing one of their fine faucet products. 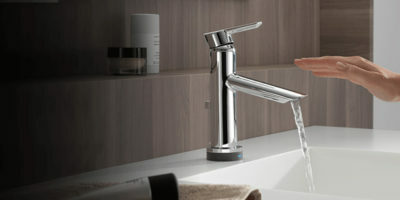 Kohler is a brand whose name is synonymous with making excellent looking faucets at an affordable price. It is not one you want to overlook when fixture shopping for sure. You will find some of their designs not only very affordable but they look as good as some of the products from the most expensive kitchen faucet manufacturers in the business. Bathroom Faucet Buying Guide – How To Pick The Right One? 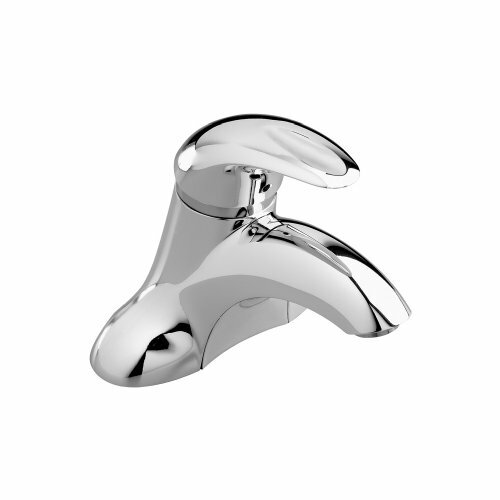 There are a lot of fine faucet products to choose from as we mentioned in our opening paragraph. We even provided you with a list of some of the best ones we tested in the reviews we did. That still leaves a lot of good choices out there in the marketplace, though. So how exactly do you decide which faucet is a good one for you to purchase? Here are some of the things you need to look for in a faucet that will help determine if it’s the right faucet for your needs. When you are shopping for anything you need to set a budget range and when shopping for faucets it certainly isn’t any different. There are many hundreds of different bathroom faucet products to choose from so you have to have several different ways to narrow down your choices. Those that are out of your budget range are the first ones that should be taken off your search list. It simply does not good to take the time to look at the details of a faucet product that is not in your indicated budget range for shopping. The faucet you buy has to fit the application you want to use it for also. That means you have to take all of the following into consideration too. The fit is just as important as price when it comes to eliminating faucet choices from your search. Make sure you know these things about the bathroom faucet you desire before starting your search for one. Your faucet certainly must be able to fit in the space that it is going. Some people also shoot for a minimalist design on a bathroom faucet too. That way it takes up as little counter space as possible. You also have to consider the fit of the underside of the faucet too and the space needed to install it. 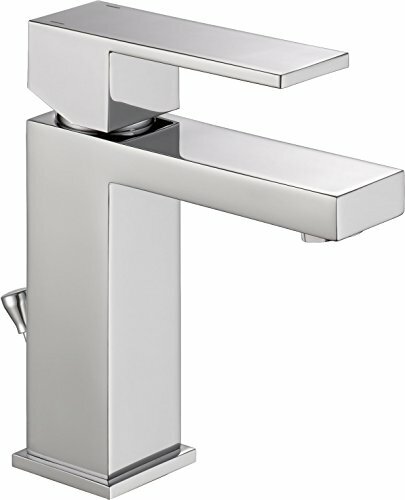 Most faucets will come in either one of two preferred design models as to how they will attach to the sink basin. This means they will either be a single hole or three hole faucet product. Single hole applications usually are done for single handle faucets and three hole applications are usually used for dual handle faucets. There are some faucets that will fit either hole configuration too. You have to consider how your faucets plumbing will hook up to the bottom of it too. This is because you want to know if you are buying a faucet that is compatible with the type of incoming supply lines that you want to hook up to. Most lines do have some adaptability options but you really don’t want to go through the trouble of doing this if you don’t have to. This is a big one as far as determining the looks that your new faucet adds to the finished look of your bathroom project. 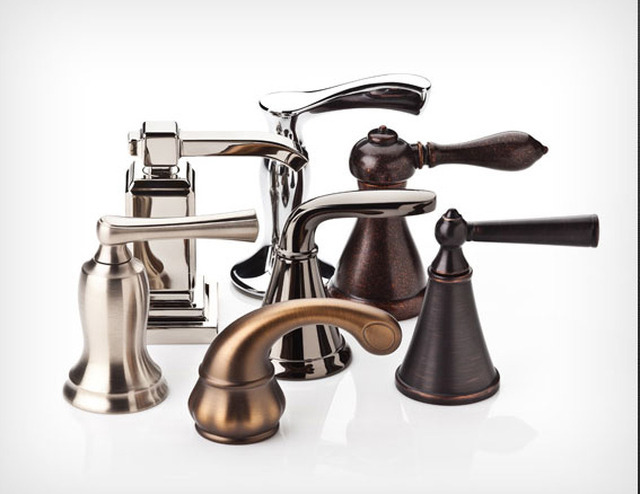 You will find that some faucets come in a wide variety of finishes so you can find a finish that will go with just about any look that you want. On the flip side, you will also find that some faucet products are sadly lacking in finish choices. The majority of faucets are found in such finishes as chrome, stainless, nickel, and light or dark bronzes. The shape and style of a faucet are also important as to which faucet you choose to purchase. Some styles will simply clash with the look you are trying to achieve in your bathroom. You have styles available these days that range from fixtures that look traditional, rustic and contemporary to ones that are more artistic, creative and outside the box of what you would normally expect from a bathroom faucet. These are the most popular type of bathroom faucet by far these days. They operate both the hot and cold water with a single handle. This is the most traditional style of handle found on bathroom faucets. They have separate handles that control the hot and cold water. Of course, there is always someone who dares to be different and if that is you then you might want to consider this more expensive alternative. These activate by simply touching a spot on the faucet handle. They will have a temperature adjustment on them too. You don’t want to be installing bathroom fixtures that are hard to put in by any means. That just makes the task of getting things right that much more difficult. Look for a faucet that has a few parts as it can to hook it up to the sink basin. This is a good thing all the way around because of the fewer parts the simpler the installation and it also means the less number of places where a faucet can fail too. So read up on the product from the manufacturer and read some reliable reviews in order to get an idea of how easy the faucet you want to purchase is to install. Warranty should be a consideration on any product you buy and bathroom faucets are no exception. Why you might ask. Because faucets are not something you want to have to constantly replace. Some of them can be very complicated to change out if ever there is a problem so you want to make sure you are buying a quality faucet product that the manufacturer has built to last. The length of the warranty a faucet has is also a very good indication of how well that manufacturer thinks their faucet is constructed too. After you take all of these things into consideration you should have no problem whatsoever finding the perfect bathroom faucet for your needs. So take your time when shopping and make sure you consider these faucet attributes before making your purchase. If you do that you will find you will get the most useful and well-designed faucet for you in your budget range. Finding Problem In Bathroom Faucet Parts and How To Replace? It is widely thought that bathroom faucets are very hard to work on but that is not the case. Many times people with only a little mechanical ability are able to fix them with little or no problems at all. So why don’t more people take the time to fix their problematic bathroom faucets themselves? The answer usually lies in they don’t know where to start. We will give you some helpful insight here as to how to go about fixing your bathroom faucet yourself. You will need to get the information about who manufactures your faucet and what model it is. This can usually be found by going underneath your cabinet with a flashlight or by looking under the sink itself. Once you know your make and model faucet, then go to the manufacturer’s website and find it on there. The manufacturer’s website will have a lot of useful information on it for you. You will get troubleshooting tips and a see a schematic like the one below to help you repair your faucet. Once you have found the schematic and the section on your particular faucet and how to troubleshoot it, then use these to determine what needs to be repaired on the unit. Leaks usually involve the replacement of washers or gaskets and operational problems usually involve replacing other parts on your faucet. The schematic will most likely even give you the part numbers of the ones you need to repair or replace; this will make it easier when you go to your local plumbing supplier to get the necessary parts for the repair. Next, when you have the parts back at your home you can then start the actual repair to your faucet. The website may also have step by step instructions for doing several different repairs to your particular faucet. There may be another website online that can help with this also. A little common sense goes a long way too when doing any type of faucet repair. If you follow the advice found here you really should be able to figure out how to do your faucet repair on your own. If you had to guess; how many times would you say you go into your bathroom and use it every day? If you actually kept track of this a number of times you go in there would most likely surprise you. That means that your bathroom sink is getting a pretty good workout every day and your faucet does the brunt of that work. What does that mean for you? That means at one point or another your faucet will probably start leaking. If that does indeed happen, you will then have to know how to go about making the necessary repair to stop it. The first step in fixing any faucet leak is to determine where the problem is and that is not always easy. You will have to take a close look at the faucet and you will usually find a leak in one of three different areas. The first is at the end of the faucet itself. The second is where the handle (or handles) joins the faucet and the third spot is where the incoming water lines connect to the faucet fixture. The first two repairs usually just involve replacing O-rings or gaskets and these can usually be done yourself. For incoming plumbing line leaks or if you are not confident in doing the other repairs it is best to call a professional plumber to come to do it for you. As we have mentioned before chances are you can find some useful information online to help you make any necessary repairs too. With a little research and a little know-how, faucets are not that hard to fix. Just make sure you don’t try to take on any repair that is out of your ability range because you may then actually make the problem leak even worse. Plumbers are usually very reasonable when it comes to fixing small leaks on faucets so it is not worth going to a lot of aggravation to fix them. Everyone needs someplace to start when they are looking to find that perfect faucet for themselves. Hopefully, this article has supplied you with the starting point to do that. There is so much to consider when buying a new faucet that we all need a way to narrow our choices down. We have tried to help by doing such things as supplying you with a list of bathroom faucet reviews that should provide with some insight as to what it takes for a bathroom fixture to be considered an excellent one. You really can’t go wrong by purchasing any one of those for your bathroom. When you combine all the information we have given you then you should be able to determine which faucet is one of the best bathroom faucets for your needs. You will then have a faucet that will not only look great but will also last you well into the future. It’s interesting to read about some of the best bathroom faucets and what they have in common as well as what you can do to repair a faucet you already have. 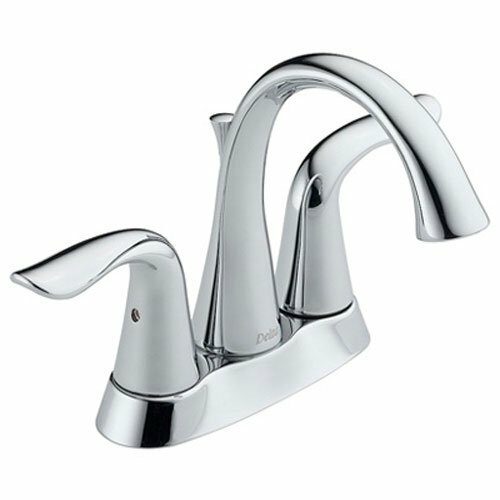 I want to remodel my bathroom and I’m considering getting some new faucets both for the look and usability. I’ll have to keep this article in mind because getting a faucet with some nice features and that will last a long time would be good.